The Professor and I are spending some time up in Maine. He, of course, will be doing research(y) kind of work while I manage some construction we are having done. Sunday ended up being a beautiful day and we had the opportunity to try out our new kayaks. It was awesome! 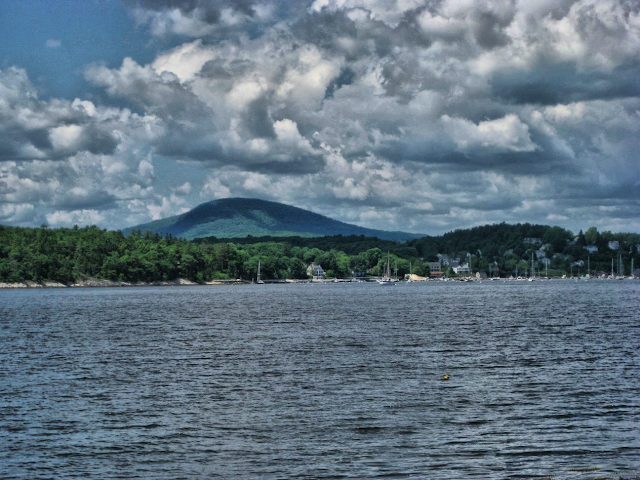 We paddled far out into the bay and I captured this shot of Mount Battie. I only had my little point-and-shoot. Just not confident enough yet to drag my 35mm out there on the water! and saw three islands in a bay." Of course, I've got to include a bird story. 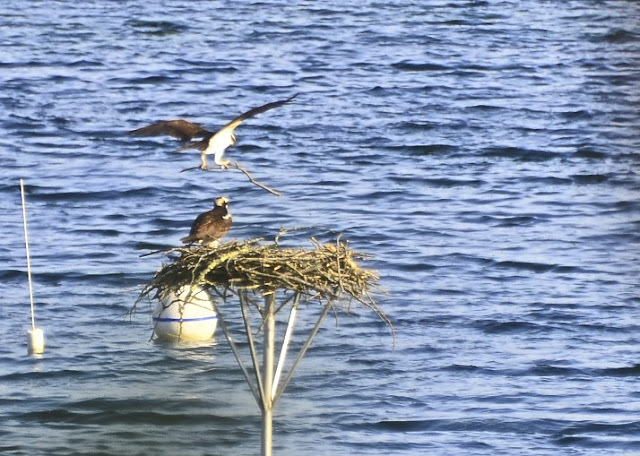 Out in the harbor, there is a stand for the Osprey's to nest. They apparently come back every year, mate and raise their young. until they had each one just right. And then it was off again, to find more timber. Well, here we are late June, and below is the little fella that is a result of their industrious work. bring him food in between his lengthy practice flights. And speaking of practice, I hope to get a lot more kayaking in. And maybe even figure out how to safely take my 35mm out with me! I'm off to shop for toilets ... how much fun is that!!! good luck w/ the re-do construction! yucko! What a gorgeous place, terrific captures! I love the water and such a fun way to spend a day! Beautiful birds! Hope the construction goes well and good luck with the toilet shopping!! What a way to start the week! I love it! 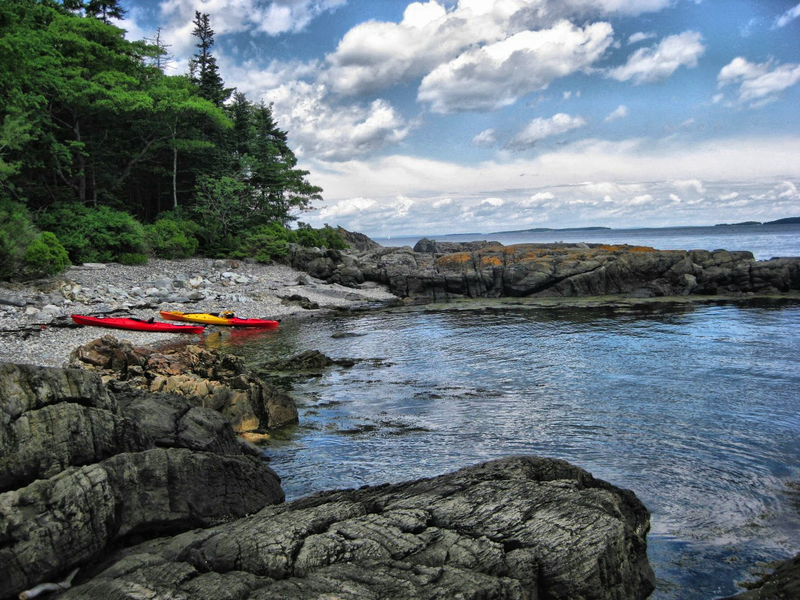 I *really* like the coast shot (#1), kayaking there looks fun!! It never ceases to amaze me just how many ways we can reinvent a toilet and how much money one can spend. Hi Reena...It was a lovely day yesterday here in wonderful Maine wasn't it..love those clear blue skies and puffy clouds!! I do and have been hearing the rumble of thunder for sometime now, and hoping it stays away !! Seems it might be a good time to look for toilets!! ; } Rain is in the forecast!! 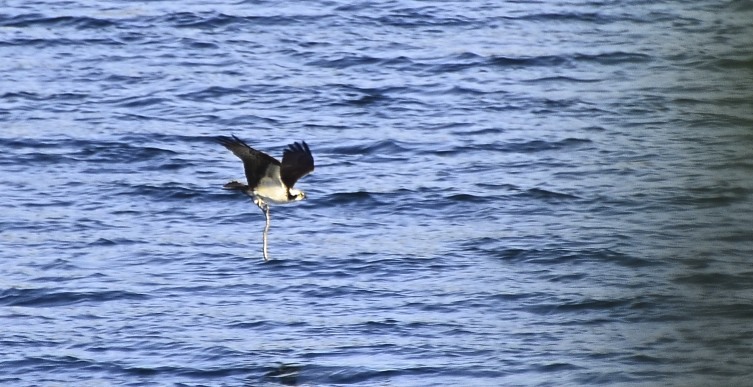 Gorgeous pik's with the point and shoot ...those Osprey are amazing ..so BIG!!! Love Maine, love Ospreys, love Millay...love this post. Thank you. Great pics - as always. Reena...I don't know what you did early on in your life but oh my gosh you have found your calling in life. Your photography is National Geographic worthy. I love the first two....just for the relaxing that invite. Glad you're spending some time up north. I've never been brave enough to attmpt a kayak, cause I'm not a wonderful swimmer. Went canoeing one time and that was enough. Sometimes I do envy those who seem at home on the water. Have fun. Hahahah... just read Ladyfi's comment. She is the funny one. 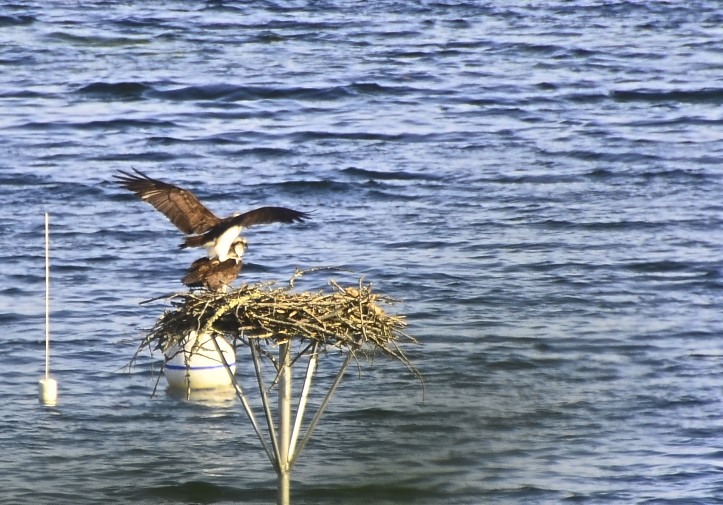 Great pictures of the Osprey and .... I want a kayak. Maine is definitely one of my favourite places! The kayaks look like tons of fun. nice...gorgeous views...and great as well to see the ospreys building the next....i love to kayak! You live such an adventurous life Reena ... wonderful to see the world through your eyes. That top photo looks like a painting. Such a beautiful state. So jealous! I love your new kayaks. And the osprey shots. Enjoy!! Ospreys make the neatest nests! Maybe you can incorporate the old toilet into your bird feeding area. Well, maybe not! 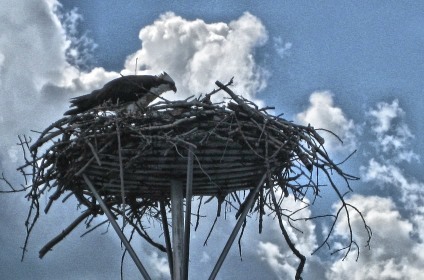 Beautiful area for sure, love the nest activity, you always capture the coolest stuff. Such a gorgeous weekend all up and down the coast! Beautiful photos Reena. Osprey are so beautiful, I love to watch them fish. You have a lot of fun while proffesor is working so hard. Not fair to him, my friend. the only difference between the P&S and the 35mm (aside from $$) is the zoom ... back from my get-away and struggling to catch up .. hey!!! those photos are pure joy! that looks like sooooo much fun !!! The Osprey are beautiful, good that you caught them when doing your trip kayaking. You always tell such an interesting story with your photos! Well done beautiful scenery! What great shots! Looks like your really enjoying those new kayaks! It looks really beautiful there. A lot like my cabin on Vancouver Island. Enjoy your time there.Only another couple of days before we move out to our lake for the summer! I found your blog by chance and stopped to look at your beautiful photos. You must have a big telephoto to take such close-ups of birds. 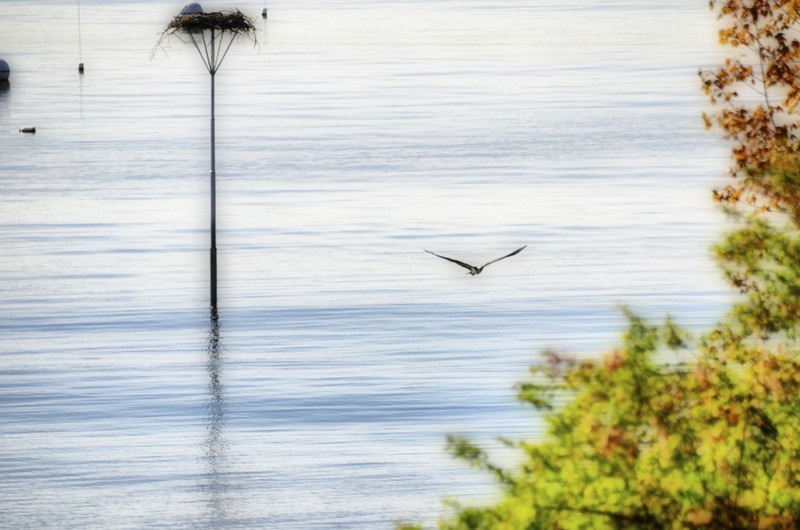 When we were in Long Island I saw an osprey nest but it was far away so I enjoyed looking at yours. I noticed you wrote a post on Istanbul so I’ll come back to read more. My father was born in Istanbul and I went there for 4 months when I was a child but I don’t remember much. Beautiful place and wonderful views of mountains and birds. hope you get to enjoy your kayak between that reno work. New Kayaks how fun. 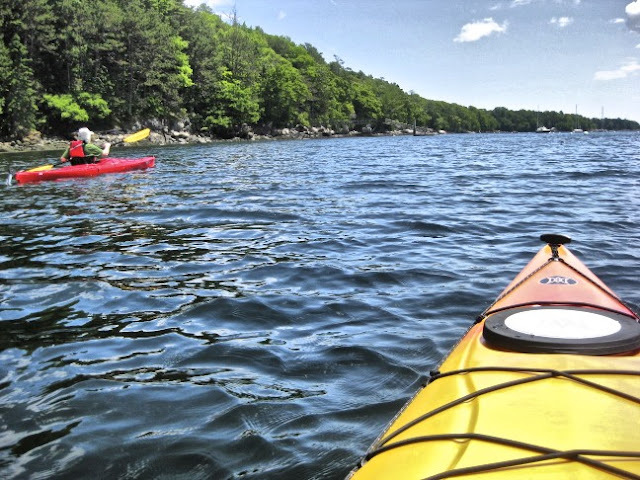 I love to kayak. and I have to say I don't like to take my good camera out there on the water either. Love your shots. Great photos of a beautiful place! The first grouping would have been great with just blue skies, but with those awesome clouds, they are beautiful! I love the photos. The first took my breath away. What a beautiful place, the scenery is gorgeous. Love the osprey too. Great captures. Beautiful images! I love the dramatic sky in the second.